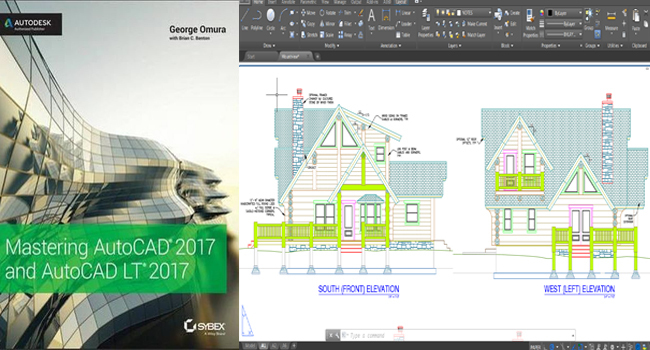 George Omura (Author), Brian C. Benton (Author) have jointly written an exclusive ebook for autocad users. The book is titled as “Mastering AutoCAD 2017 and AutoCAD LT 2017”. This book provides useful guidance with clear definitions, illustrated examples and step by step information on AutoCAD 2017 and AutoCAD LT 2017. Explore the complete capabilities of AutoCAD in an effective manner. The book contains practical instructions to improve your learning skills. There are video presentations to explicate vital methods. This latest publication is completely updated to support the software's most updated features and aptitudes. This autocad book is a perfect fit for them who are learning AutoCAD from the beginning, upgrading from an earlier version, or planning for a certification exam. The book is available in kindle and paperback version.